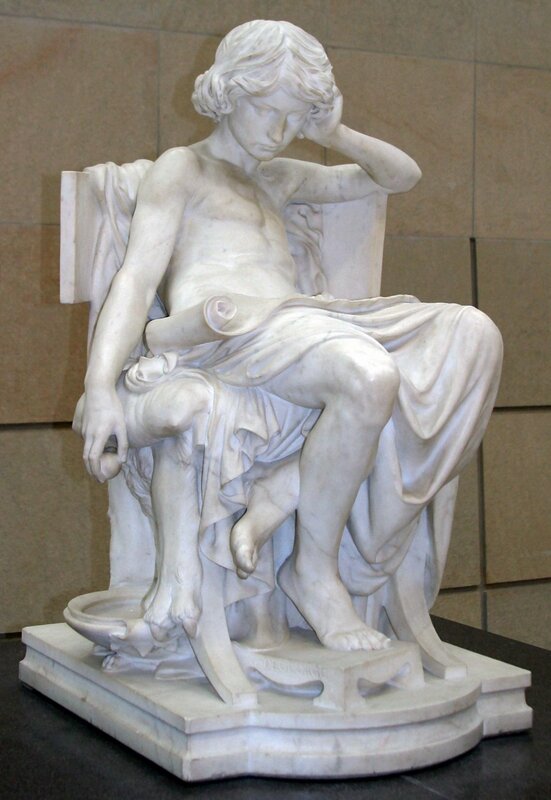 I am sorry, but the explanations given by your site and also by Wikipedia and other sites are completely wrong as to what this statue is portraying. 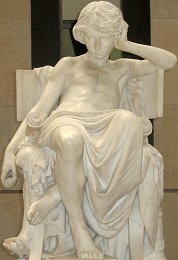 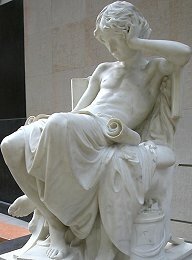 The statue illustrates a famous story from antiquity about Aristotle. 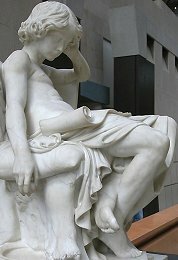 Aristotle is not portrayed here as "bored." 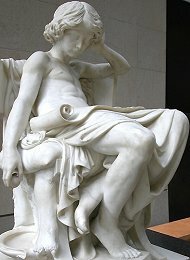 He was so zealous a student that he liked to stay up reading and minimize sleep; so he set a tin pan beside his chair and held a small rock in his hand, so that when he dozed off from lack of sleep the rock would hit the pan and wake him up again. 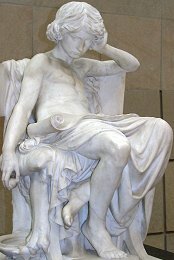 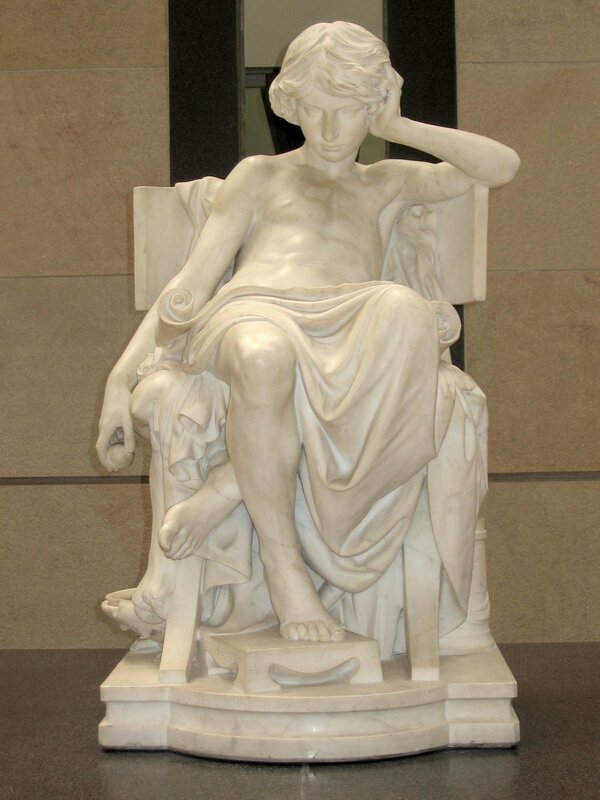 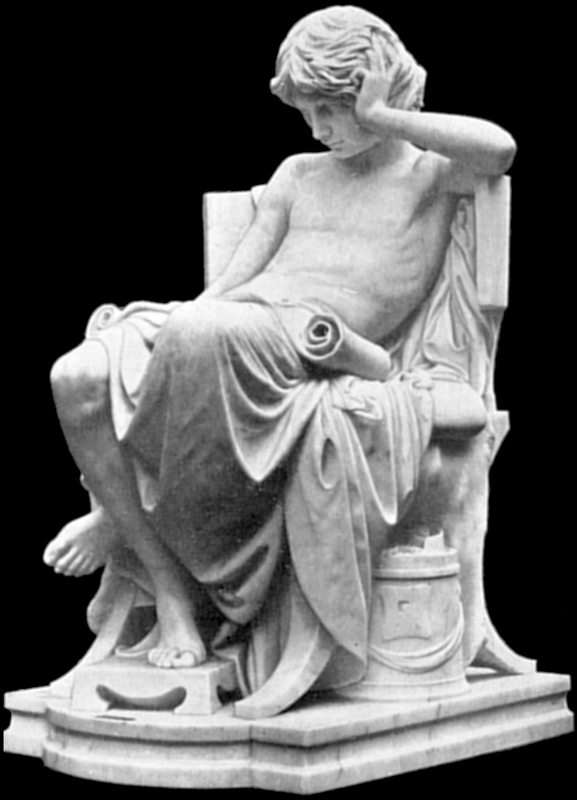 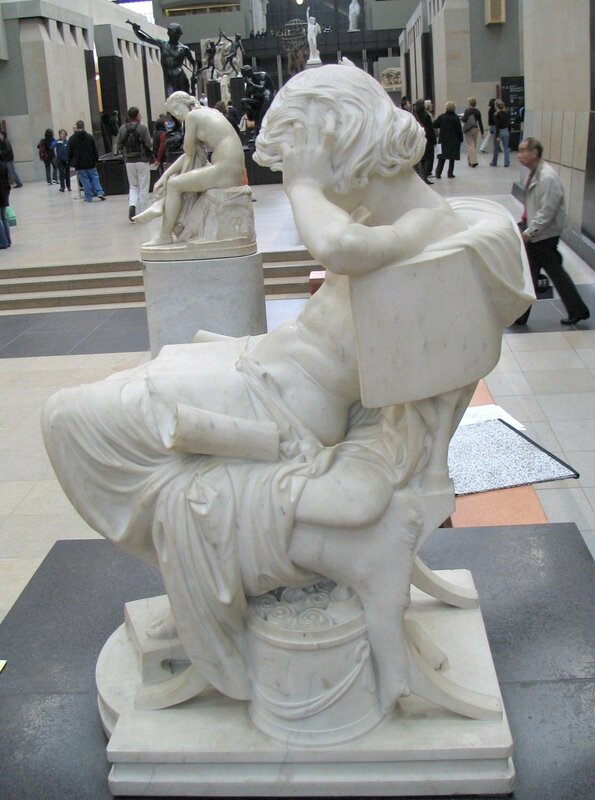 The sculptor has marvelously caught the moment just before the rock is dropped, allowing Aristotle to revive, and maintain his self-imposed sleep deprivation so he could study more and more. 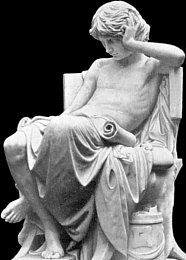 So, many thanks to Dr. Pangle for setting me straight on that point. 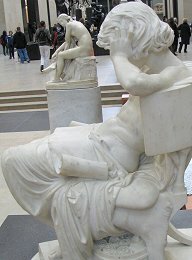 In the aforementioned left side view you can see lots of other statues in the background, including Falguière’s Winner of the Cockfight and Moulin’s Lucky Find at Pompeii..